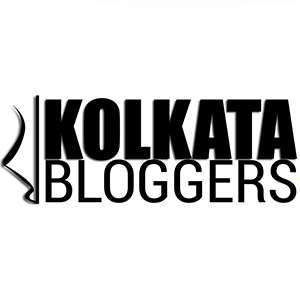 September 1, 2017 September 14, 2017 Categories Bloggers Meet, Product Reviewfloral tea kolkata, great wall, herbal tea, ivy house, karma kettle, keya floral tea, nightingale tea, tea, tea lover kolkata, tea tasting, tearoom, tearoom kolkataLeave a Comment on ‘Karma Kettle’ launches their Festive Collection of floral teas! Tea has always been a romantic link of numerous dispersed pleasant memories in my otherwise convoluted head. It’s that mystic potion which cures so many unseen anomalies in life. I am not a teetotaler, but yes surely I am a tea-totaller (if you allow me to use this term) who is very picky about his cup of tea! If it is the morning tea, it must be served at a particular temperature that soothes my nerves and must be having the perfect aroma and quantity of sugar in it. And yes, if milk is added (by mistake), I won’t be having that for sure. It’s extremely hard to impress me with tea. For me, the aroma of this magic potion has to excite my senses and maybe for that reason this floral range of teas from Karma Kettle left me spellbound. To be very true, I am not too much into floral teas, but I am certain that after this tasting session I have become an avid lover of this amazing range of teas. Most importantly, here at Karma Kettle the flavor infusion is all natural. There is no flavor added here which is artificial. The flavoring elements used for fruits, flowers or spices are all organic in nature, so that’s really good for your body. This amazing tearoom founded by the Aroras is located at 4, Swinhoe Street (Ballygunge Place) and it’s basically a cozy corner at the ground floor of their residential property. The place is still getting all decked up for a grand opening. And let me tell you that when this beautiful extension of Karma Kettle opens up it will be one of the coolest tearooms in town. It has a lovely vintage wooden finish to it with natural diffused sunlight coming in, which I absolutely loved. Few days back I was at Karma Kettle as they were launching their festive floral range of teas!! This festive collection of teas will be available from 1st September 2017. And to be very frank – I have never tasted any better floral tea sitting here in Kolkata! These teas with their amazing spectrum of colors, aroma and flavor will surely bring you back for more to this cozy Swinhoe Street outlet! Before I give you some brief idea about the varieties of tea available here in this festive collection, let me tell you that their savories are also insanely good. I tried their Onion pakoda, Paan pakora with a sprinkle of jaggery on top, Cheese sandwich. But in the end I absolutely loved their Chicken Quiche and Walnut cakes, they were just too good! Something you can’t afford to miss when you visit this fascinating tea room! Nightingale: This was the most fascinating cup of tea I had till date in my insignificant life! This was absolutely blue in color. Frankly speaking I had never tasted blue colored tea before. It is silver tips white tea with butterfly pea flower and jasmine. And I absolutely loved the Jasmine aroma. Bird’s Song: Next I had the mellow yellow colored tea called Bird’s song. It is silver tips white tea with cockscomb and lavender. Loved the soothing flavor and mild aroma. Keya: And next I tried the cup of red or rather deep pink colored floral tea. It had silver tips white tea with pink rose, red rose and strawberries. You can surely give this a try. Paan Chai: Though I am not a fan of tea with milk as already mentioned above, still I went on to taste this Paan Chai. It is basically masala chai with beetel leaves, fennel and liquorice. It had optimum level of sweetness in it and the flavor and aroma of paan was truly fascinating. Ayurvedic Chai: Now that’s the time to think a bit about your health. This variant of masala chai has turmeric, bishop’s weed, fennel and tulsi in it and is surely one good cup of magic potion for your body. Thai Chai: This is the CTC blend with tender coconut and pandan leaves. Something you won’t get anywhere in Kolkata, for sure. Give it a try. Istanbul – If you are a fan of green teas, then this is for you! This one is green tea with strawberries, hibiscus and apple bits! Great Wall – Well, I loved this light yellow colored longjin tea with pandan leaves, muck melon and lychee!! Very soothing and perfect one to start your day with. Maya – And in the end, here comes the kind of tea I have regularly, of course devoid of that chocolaty punch. ‘Maya’ is a black tea with dark chocolate and white chocolate nibs along with cranberries. I have never tasted a better chocolate tea before, this one actually had the flavor and aroma of dark chocolate in it, and I absolutely loved it! Overall, I loved this entire tea tasting experience and the fact that what I am consuming is not synthetic or artificial. I will surely go on to recommend this amazing range of teas. Karma Kettle is really a den of teas, fresh from the garden having so many health benefits. The servers who attended us were very knowledgeable and you should not face any issue here in selecting your favorite leaves or while ordering your favorite cup of tea. Special thanks to First Idea PR for the invite and Mr. and Mrs. Arora for their warm hospitality and insights about their ventures and this new festive collection of teas! Very rarely I do recommend a tearoom and Karma Kettle is surely one of them. I’ll be back pretty soon. Previous Post JackFruit365™ : The amazing green jackfruit flour – let food be thy medicine! Next Post Häagen-Dazs – I lay my love on you!